More Gambit stuff'd always be good. Haha, I was thinking the same thing. Maybe a horsemen of apocalypse skin? Hey, zombies gotta eat too! More Gambit skins are definately needed though. Unfortunately we would have to use the blindfold since there isn't an overcoat skin with a blindfold. But I will try that one. I also thought that the horseman was done already, isn't it? If not it will be on my list. + skin 0411 is Shafcrawler's Xtreme Skin. (1st skin on the last row) Thanks Shafcrawler! + I fixed the sounds used in Flash Freeze. Now it sounds better. Special thanks to BLaw for allowing me to include two of his skins. This is basically a skin and hud booster for Wolverine since I don't believe there was anything lacking from him. I also created 11 custom conversation huds and made a new 3d hud based from BLaw's X-Force Wolverine. 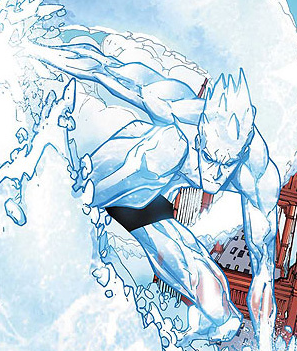 Iceman could do with a bit of a boost skin-wise. Iceman or Cyclops are next, followed by the other and Gambit. I have some ideas, but they may be beyond my skinning level. The only one I know I can do is another X-Factor (the Yellow and Blue maybe or maybe not with hair). That would boost him up to 7. The only other thing I can do is a shirtless version of his Classic Skin seen in the comics, but I don't really want that one if I don't have to. Any Suggestions. I still have to calculate Gambit. I have to see what he already has floating in the forum. So any suggestions for any of the characters (even future ones like Gambit, Sunfire, Bishop, etc.) will be appreciated.